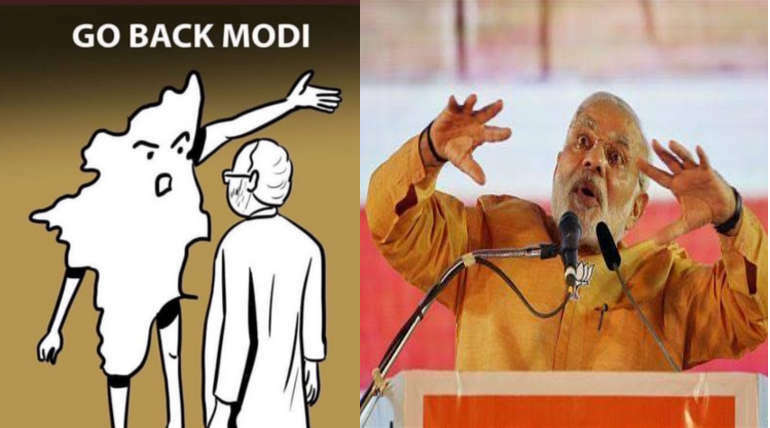 As India Prime Minister Narendra Modi has campaign tour plans for Tamilnadu, on twitter, go back modi and go back fascist modi are getting trending in India. 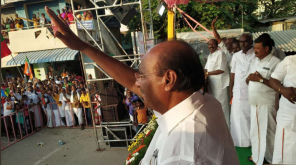 To support the Coimbatore, Tirupur, Pollachi and Nilgiri Lok Sabha constituencies BJP contestant and also AIADMK contestant, he planned this visit. Prime Minister Narendra Modi has made a speech at the public meeting in Coimbatore today to support candidates. Modi has come up opposition in social networks. In Tamilnadu and Puducherry, voting is going on 18th April. 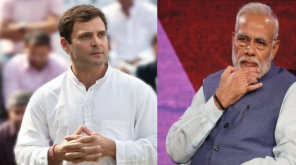 Prime Minister Modi is speaking at a public rally in Coimbatore Junction at 6 pm this evening ( 9th April) .He will reach Coimbatore through a separate flight, Tamilnadu Chief Minister Edappadi Palanisamy welcomes him to the public meeting. In the meanwhile, over 3,000 police personnel from various districts, including Coimbatore, Tirupur, Erode and Nilgiris, have been deployed for the purpose of the Prime Minister's visit. 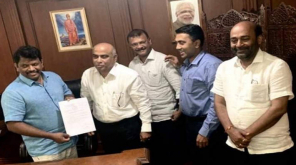 Modi is campaigning in the Theni constituency of Vice-President O. PaneerSelvam's son Ravindranath Kumar on 13th April, following the campaign.